Getting Started with Windows, Mac, Chromebook, iPad, etc. 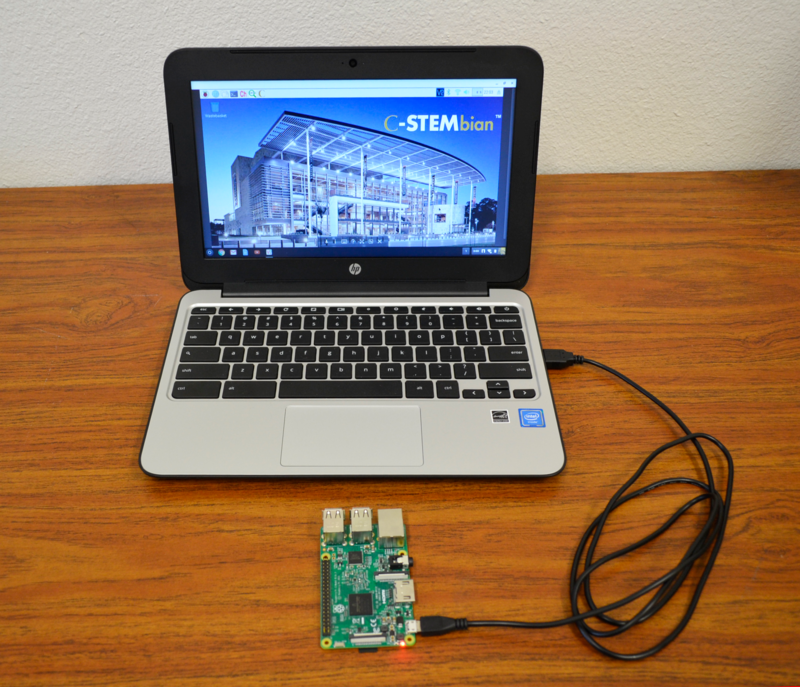 You can use Chromebook to access the Raspberry Pi, then run C-STEM Studio to program and control robots directly. However, extra setups need to be done on the Pi through Windows or Mac first. 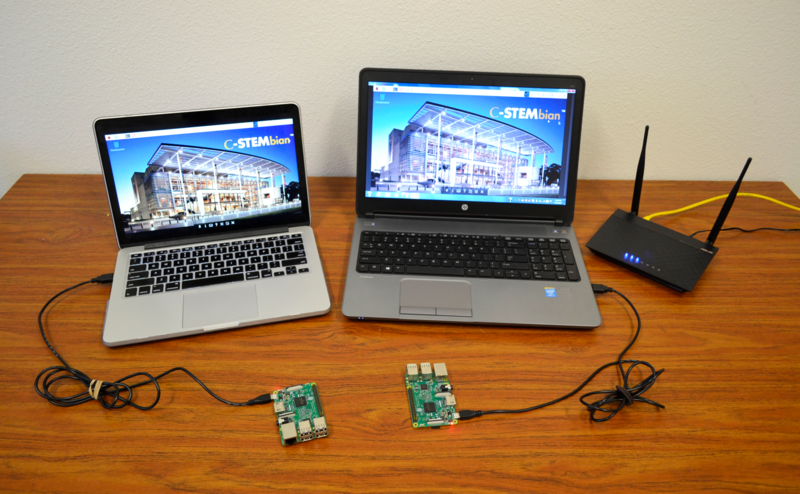 Therefore, before you move forward to the following tutorial, you should make the Pi work with either Windows or Mac. You can find the tutorials for Windows and Mac on the side menu. This step will be done on Windows or Mac. So it assumes that you have done other tutorials and made your Raspberry Pi work with Windows or Mac. If you are setting up a classroom set of Raspberry Pis, you must complete these steps 1-7 for each Pi individually. 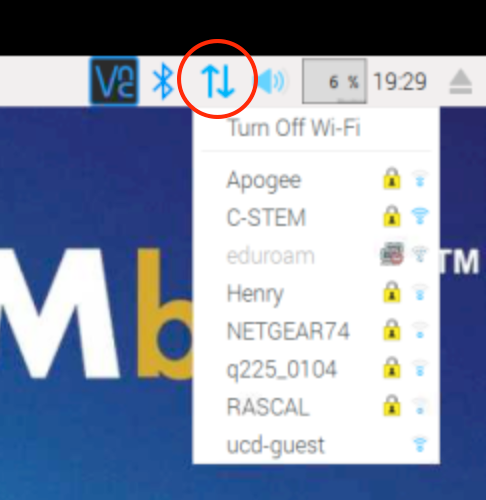 Log into your Raspberry Pi as described in Access from Windows, Access from Mac or Access Wirelessly. Your wireless connection shall displayed as follows. In the first pulldown menu next to “Configure:” select SSID. 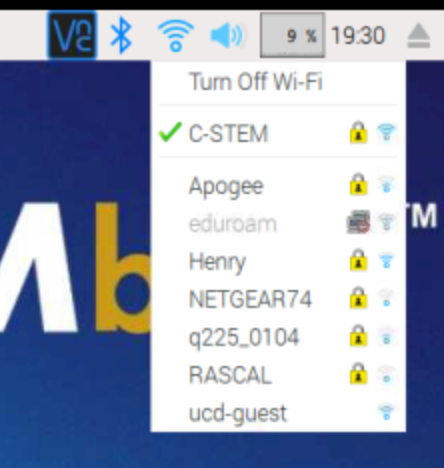 In the second pulldown menu, select the Wi-Fi network you are using on your Raspberry Pi (In the picture below, we are using the wireless network “C-STEM”). For “IP Address:” input the IP address you wrote down earlier (Step 3). 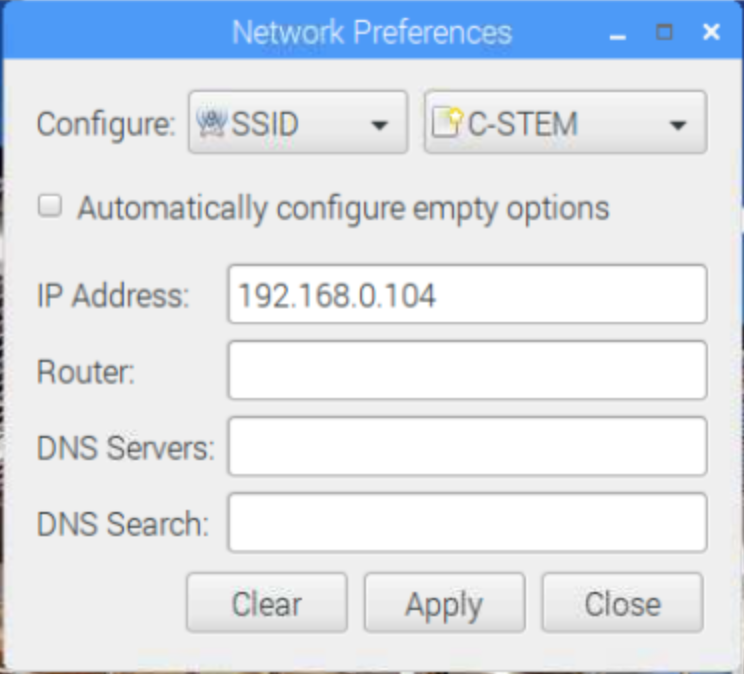 Follow these instructions to access the Raspberry Pi from a Chromebook through graphical user interface.